Dallas—With a quickly expanding footprint, Dallas-based Mill Creek Residential is one of the nation’s largest multifamily developers. Last year, the company ranked No. 2, behind Alliance Residential, in number of units delivered. This year has already been another strong year for Mill Creek, with delivery of 7,000 units anticipated –up from a little more than 5,000 in 2014. 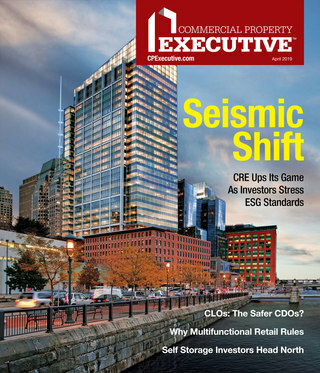 MHN recently had the chance to chat with Russell Tepper, senior managing director for Mill Creek’s New York, New Jersey, Connecticut and Philadelphia markets. Read on for his insights on development trends and renter behavior patterns. MHN: Tell us about a few of the multifamily trends you’re seeing specifically in the markets you oversee – New York, New Jersey, Connecticut and Philadelphia? Tepper: One of the most significant trends we’re seeing is the importance placed on enhancing the quality-of-life experience for residents. Many of today’s renters are young professionals (a.k.a. the millennial) that expect a hotel-caliber level of service and amenity package. This means going beyond a nice fitness center. Yoga studios and spinning, indoor storage for bikes and cold food, pet spas, home office spaces, rooftop decks and deluxe clubrooms have become de-rigueur. Another trend we’re seeing is the “renter-by-choice.” Young professionals and empty nesters are not as interested in purchasing a home as they once were. The reasons for this vary, but, across the board, we’re seeing that people would prefer to avoid the hassles and long-term commitments associated with owning a home. Renting provides both the flexibility and premium living experiences they seek. Finally, in the New York metropolitan area, if there is a train station nearby, there is a high likelihood that a new multifamily community has opened or will open in the near future. And if that’s not the case, there is an even greater likelihood that a developer is in the midst of obtaining the governmental approvals to do so. MHN: Mill Creek Residential is known for high-quality, centrally located communities nationwide. What specific luxury amenities are most popular with the residents in your region? Tepper: Rooftop decks and home offices stand out as amenities that can set a community apart. People love to gather in spaces where they can socialize and enjoy a great view. And, with telecommuting on the rise, the ability to leave one’s apartment and go to a private office is very appealing. While most of our residents go to outside offices, the future points to increasing numbers of independent consultants and employees of virtual companies needing home office spaces such as the ones we’ve created at our communities. MHN: Has that transit access factor influenced any property purchases Mill Creek has made in your region? If so, which properties and what was the situation? Tepper: All of the properties we’re developing in our region are close to mass transit. Whether it be a warehouse restoration in Jersey City or ground-up communities in Morristown, N.J., and Mineola, N.Y., access to mass transit is one of the principal factors assessed in identifying properties we’d like to develop in the New York metropolitan area. Also, when people are not commuting to and from work, they like to be able to walk around the town in which they live. Towns with train stations tend to be located in communities that also offer great retail, cultural and entertainment options. Proximity to mass transit and walkability are two important components of long-term value creation. MHN: Your corporate portfolio is expected to grow by 7,000 units this year. How many of those properties are in the states you oversee and are they ground-up developments or acquisitions? Tepper: This year alone, in our region, we will have opened and/or leased three new communities, consisting of more than 750 apartments, and we expect to commence construction of three more communities, which represent approximately 700 additional apartments. MHN: Any projects in your region that stand out for any special reasons? Tepper: All of our communities are unique in that they reflect the special characteristics of their surroundings in terms of aesthetics and land use. The warehouse restoration in the heart of Jersey City is attracting a lot of attention, and for good reason. It is a 110-year-old, eight-story building that, rather than being torn down, is being rehabilitated and transformed into a 366 apartment community. We worked closely with all stakeholders, including city officials, to design a plan that gives the building new life and activates the surrounding streets. We are preserving the building’s original skin and interior character. We’re also working with groups from Jersey City’s thriving arts community to develop studios and gallery spaces on the ground-floor for local artists. In a city where much of the recent development has been high-rise towers, we’re appealing to a different sensibility. 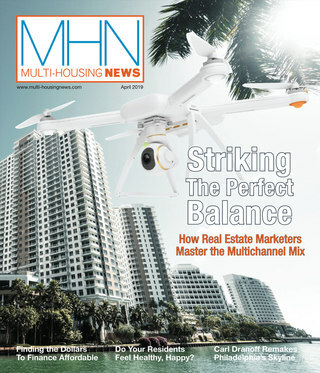 MHN: You made the transition from an industrial real estate career to multifamily. What you’ve learned along the way? Tepper: During the last half of my tenure with my previous employer, I oversaw much of the day-to-day development efforts associated with the company’s non-industrial, mixed-use and urban re-development portfolio. The transition to Mill Creek represented a terrific opportunity for me to expand my work in this area, which I find invigorating. Urban redevelopment requires the ability to look creatively at sets of challenges that differ on every project. You must work collaboratively with many stakeholders to conceptualize and execute a plan that delivers a win/win result.